- Extract the G318HZ Special Arabic Firmware, You will get *.TAR.MD5 file. - Turn off your Samsung Galaxy V Plus Duos, And remove battery for 10 seconds. 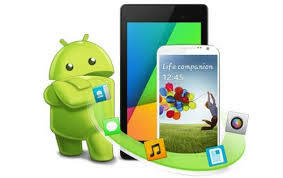 - Click on Start button to install the Arabic Firmware into the Galaxy V Plus Duos. - Congratulations, You have installed the special Arabic Firmware on your SM-G318HZ Galaxy V Plus Duos. - Wait until the phone is fully on, Then start to select the wanted settings. - Now you can select the Arabic Language from the listed available languages. - In case your phone stuck at Bootloop, Then you can Hard Reset the phone, And if not done then reflash it with any Stock Firmware to fix it.